The company has been working with Nottingham City Council and Nottingham City Homes on a £2.85m scheme to build 26 new sustainable council homes across the city. Site Manager Robert Chadwick was nominated for his site at Henning Gardens in Top Valley. The former disused garage site is now host to eight two-bedroom family homes, providing much needed accommodation and improving the surrounding environment for local people. The Considerate Constructors Scheme (CCS) is a national initiative, set up by the construction industry to improve its image. Construction sites and companies that register with the scheme are monitored against a strict set of standards, designed to encourage best practice, beyond the statutory requirements of any building site. At the awards ceremony in Manchester this afternoon, Henning Gardens’ Site Manager, Robert Chadwick, (pictured) was presented with a CCS Bronze Award. Robert held numerous site visits for local schools, hosted an onsite careers day and even helped produce a video of the project. David Woodhead, Managing Director at Robert Woodhead Ltd, said: “We’re delighted that our Site Manager, Robert Chadwick, has been presented with a another Bronze Award after scoring 41/50 on the independent assessment. • Caring for the workforce. All scored highly, with a number of individual marks of ‘excellent’ and a couple of ‘exceptional’ points. Robert Woodhead scored on average 38.25/50 on all sites completed to date on the on the Building a Better Nottingham programme, well above the national average. The CCS assessor highlighted all areas at Henning Gardens as excellent, with the exception of ‘securing everyone’s safety’ which they said was exceptional. 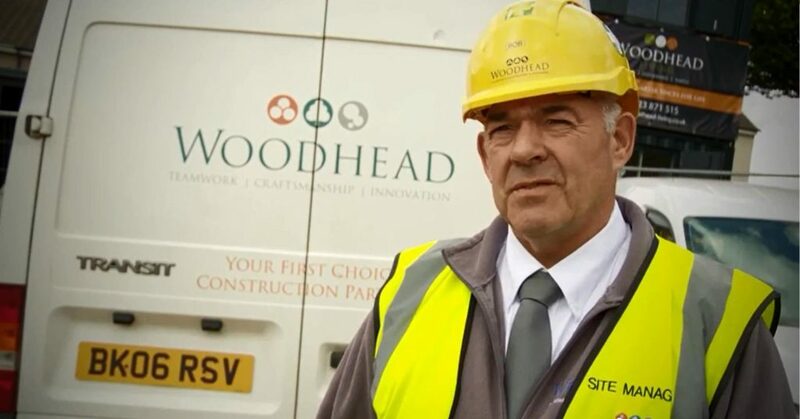 Steve Hale, Director of Property Services at Nottingham City Homes, said: “I would like to congratulate Robert Woodhead, in particular the site team at Henning Gardens, for achieving such a prestigious award.